Plans for this June 2017? For 6th consecutive year we go back to Morocco, for another year of sun, wind and fun! This year, we will also enjoy 4 days of live music and artist during the Gnaoua World Music Festival, one of the most import ants music events in all Africa! A truly adventure to a traditional and intriguing land, that offers, not only top conditions for Kitesurfing, with windy, open and uncrowded beaches, but also a rich culture; with fantastic music, exquisite cuisine and art; all together in the narrow streets of the Old Medina. Date 1: June 17th to 24th, 2017. FULL. Date 2: June 25th to July 2nd, 2017. Last 3 spots. Package with Lessons for Beginners & Intermediate. 18 hours total and gear included. Package with Advance Coaching for Independent Riders with VideoCoaching. 7 nights accommodation on a beautiful Villa in Essaouira´s Countryside. Exquisite Meals cooked everyday by our Chef. 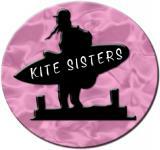 IKO Certification (International Kiteboarding Organization). Visit to Essaouira´s Medina and Market. Visit to a female berebere Cooperative, producers of the Argan oil.